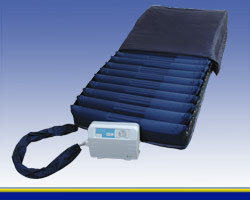 Alternating pressure therapy mattress technologies are known to be effective in healing and preventing wounds and make care giving tasks significantly easier. 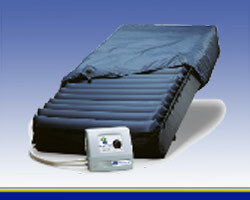 American Medical Equipment (AME) offers a wide selection of alternating pressure mattress systems to fit a variety budgets and applications, and the common thread of superior outcomes. 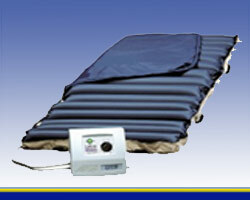 Alternating Pressure is a method of pressure management. Air cylinders are inflated and deflated in an A-B-A-B pattern; at a given moment, the A's are relatively inflated and the B's relatively deflated, then an attached pump automatically switches the inflation/deflation of the cylinders so that A's are relatively deflated and B's are relatively inflated.